Hot Coding! 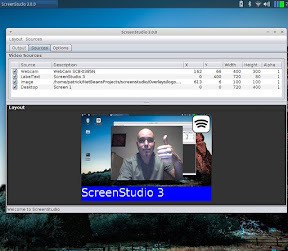 : ScreenStudio 3 is available! This is the big day: I just released the newest version of ScreenStudio 3. I've reworked the video mixing engine in this new version and added some new features not available in the 2.x versions. Consider this first release as unstable and some features are missing like shortcuts. They will be implements with time. Security researchers are trying too hard?